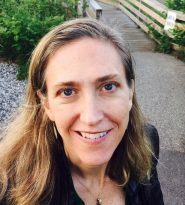 Elizabeth Stites directs Feinstein’s Research Program on Conflict and Livelihoods, focused on the effects of conflict and violence on civilian livelihoods. She is particularly interested in how different members within a household make changes to their livelihoods in times of conflict or crisis, and also how violence and livelihood strategies can reinforce each other. On the policy level she examines the effects of humanitarian, development, and military policies on livelihoods, security, and gender roles. Her field work aims to improve the effectiveness of international and national policies through evidence-based research reflecting the lived experiences of local communities. She aims to understand the challenges and hopes that inform people’s daily decision making, and strives to ensure that local people’s voices and experiences are heard in contexts in which they are often invisible. She has worked in multiple countries in sub-Saharan Africa, in Afghanistan, Bosnia, and Nepal and on the Syria crisis. Prior to joining Feinstein, Elizabeth worked as a consultant to UN organizations, academic centers, and international non-profits. She lived in South Africa for four years in the 1990s, where she researched post-apartheid land restitution and worked closely with families, community groups, government agencies, and non-profit organizations. Elizabeth holds a B.A. from Wesleyan University, an M.A. from the University of Cape Town (South Africa), and an M.A.L.D. and a Ph.D. from the Fletcher School at Tufts University. Stites, Elizabeth and Anastasia Marshak. “Who are the Lonetia? Findings from southern Karamoja, Uganda.” Journal of Modern African Studies 54 (2016). 237-262. Stites, Elizabeth and Darlington Akabwai. “‘We are now reduced to women’: Impacts of forced disarmament in Karamoja, Uganda.” Nomadic Peoples 14, 2 (2010). 24-43. Stites, Elizabeth. “A Struggle for Rites: Masculinity, Violence and Livelihoods in Karamoja, Uganda.” In Gender, Violence, and Human Security: Critical Feminist Perspectives, edited by Aili Tripp, Myra Marx Ferree, and Christina Ewig. New York University Press, 2013. Elizabeth Stites attended Evidence to Action forum in Washington D.C.
Feinstein’s work as part of the Apolou project seeks to understand the impacts over time of a shift to an increasingly cash-based economy on different wealth, livelihood, and demographic groups. In this partnership with Mercy Corps, the Feinstein International Center team investigates the nature of social networks and social connectedness, and explores how humanitarian assistance can strengthen these as a key aspect of resilience, recovery and relief interventions in complex humanitarian emergencies. This working paper presents findings on the migration of youth from Acholi, Uganda to the urban areas of Gulu and Pabbo in northern Uganda, and to the Acholi Quarter neighborhood in Kampala. This briefing paper examines alcohol brewing and consumption in Karamoja, Uganda from the health and economic perspectives.